. 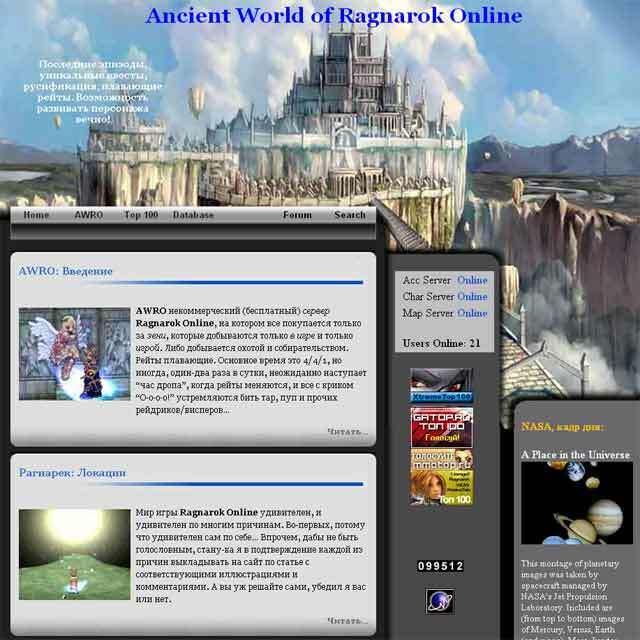 :AWRO.ru - Ancient World of RO:. Floating (low) rate server. A lot of unique NPCs. ALL last updates. International support. Here you can raise your stats even after reaching max (99/70) levels, ever and ever. Come play with us! There is currently no player review on AWRO.ru - Ancient World of RO.